Iyengar yoga is a popular form of Hatha yoga that places a very high importance on perfecting form and is designed for people at any age or fitness level. You might be used to a more free-for-all style of yoga, but don’t expect that in an Iyengar yoga class. Prepare for frequent, active correction of technique throughout class. Iyengar yoga was founded by B.K.S. Iyengar in India and became popular in the west in the 1970s. It’s less intense than the yoga styles of Ashtanga or Vinyasa Flow. Classes follow a slow, deliberate pace and focus on proper alignment and healing the body. Thus, they may be taken by those who are injured, elderly, or have spinal concerns. To address every level of fitness in the room, Iyengar teachers modify yoga postures (asanas) for individual students with the use of props — such as blocks, bolsters, blankets, and straps — which allow students to drop deeper into the pose with correct form. Iyengar students take their time to get into a pose and then hold it for several breaths to maximize its healing benefits. There are roughly 200 poses taught in Iyengar yoga, many of which are modified with props. There are also 14 breath techniques as well as a meditation component. What Props Are Used in Iyengar Yoga? What distinguishes Iyengar yoga from other types of yoga is the vast array of physical props and tools used to encourage proper form. Props include straps, blocks, chairs, and blankets and are incorporated to help you get your body into the exact position of the pose. Some props, such as straps, constrain the body and help you prevent your legs from falling to the side. Other props, such as bolsters, blocks and blankets, help to elevate certain parts of the body so you can attain proper alignment. Exact alignment is great for people trying to achieve perfection in their asanas, but it has practical results even for those who aren’t concerned with technique. Many of Iyengar’s students have reported that this form of yoga has reduced many aches and pains in their bodies because of the focus on proper alignment. What’s more, as you train to improve your asanas, you’ll likely find that your everyday posture improves. Who Was B. K. S. Iyengar? Bellur Krishnamachar Sundararaja (B.K.S.) Iyengar was born on December 14, 1918 and grew up in a poor village in India. He was one of 13 children and experienced ongoing health problems due to bouts of malaria, typhoid, and tuberculosis. At the age of 15, he began a yoga practice that greatly improved his health. Since he was not as strong as the other yogis, he resourcefully used props to improve his alignment and ability to hold the pose. Since the use of props allowed for more people to practice yoga, regardless of their health and flexibility, Iyengar was asked to start teaching with props at the age of 18 across India. His unique style of yoga later became known as Iyengar Yoga, making yoga accessible to all. Iyengar passed away in 2014 at the age of 95. It is said that he maintained three hours of asana practice and an hour of breath work every day into his 90s. 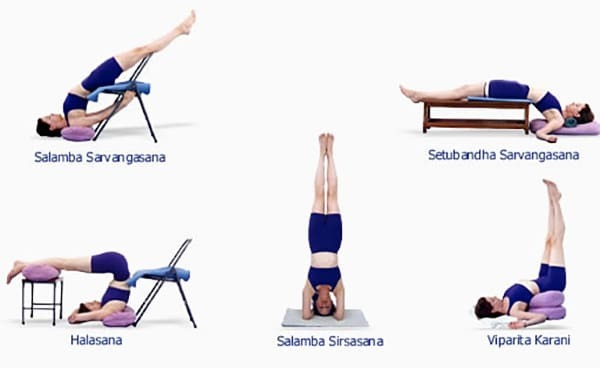 Today, the Iyengar yoga system is perfect for anyone looking to improve the form of their asanas. You might be seeking to increase balance or improve your posture. Or you might be looking for a way to improve mobility and flexibility, particularly after illness or injury since the practice moves at a slow pace.